The first set of releases for 2018 and there is a lot of love for Nintendo this week! 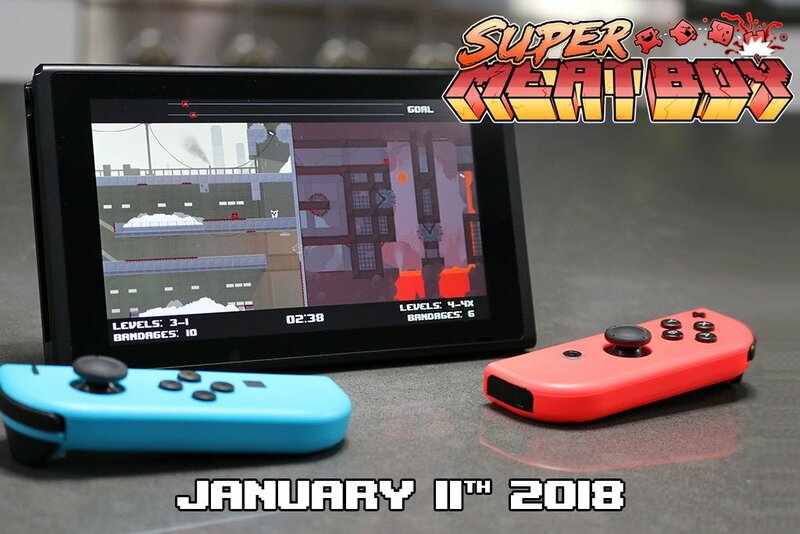 For Switch Super Meat Boy and Furi amongst others! The first releases of 2018 brings a lot for the Switch. Super Meat Boy fans rejoice! The meaty lad comes to Nintendo‘s portable/handheld this week. It seems like a slam dunk on paper, so let’s hope this is a nice version of the indie classic. It rocked an impressive 90 Metacritic score on Xbox 360 and to this day is one of the tightest and most nippy platformers ever made, though prepare for a difficult experience on the harder levels. There is no point in pasting a trailer as we all know what Super Meat Boy is by now so enjoy a pretty picture instead. We also have stylish boss fighter Furi. Coming out in 2016 it sports one of the coolest soundtracks and brings taxing yet fair combat. It achieved a solid 77 Metacritic score on PS4 and just like Super Meat Boy is worth a look for those who like tough but rewarding games. Getting any games this week? Let us know in the comments below!